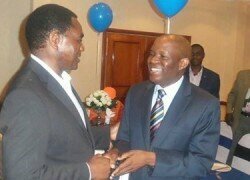 THE Post Newspaper’s malicious and carefully orchestrated political ploy working in collusion with UPND leader Hakainde Hichilema to conceal a Supreme Court judgment and mislead the country over the huge K53 million tax bill that may sink the newspaper, is a flagrant abuse of media freedom and a betrayal of public trust which has annoyed Zambians. “This is duplicity that must be condemned by all law abiding Zambians who realise that failure to pay taxes is criminal and should not be politicised by Hakainde Hichilema in the hope of seeking good coverage,” Zambia Republican Party President Wright Musoma has said. The attempt by The Post and HH, he said, to conceal the fact that the Supreme Court of Zambia had thwarted their effort to avoid paying taxes, spoke volumes of their ill motives. They fabricated the lie that HH had intelligence information that Government wanted to close down the paper when, in fact, the Supreme Court had exposed their ploy to delay and avoid paying taxes in the hope that with regime change they would not need to pay it. “Zambians must wake up to these tricks. This is why they want regime change,” he said. “They had a court judgment in their hands but chose instead to mislead the nation by politicising the debt overhang which the Supreme Court clearly stated had fallen due,” he said. The Post should instead, stop playing victim by blaming Governmnet as tax evasion robbed the country of the much needed revenue which must be channelled to needy areas, Patriotic Front (PF) deputy spokesperson Frank Bwalya has said. Commenting on the Post newspaper’s objection to pay over K53 million in Pay As You Earn, income and value added tax, Mr. Bwalya said it was time for the newspaper to own up and pay its dues because it was not Governmnet that made it accrue the amounts due to non-remittance. He said it was unfortunate that the paper had directed its anger at President Edgar Lungu when it was clear that the Zambia Revenue Authority was only doing its job of collecting revenue for and on behalf of government which was distributed to needy sectors. He said portraying a picture that government was persecuting the institution was a misrepresentation of facts because no single business house was exempted from paying tax as government operations depended on such revenue. The problem with th Post is they think that their ploy hold every in coming Gov’t to ransom is their right. they have always tried to take to bed any potential candidate to plot one. Unfortunately many have fallen prey to this ploy only to disillusioned once in office. Once disillusioned these leaders have acted contrary to the expectations of the Post Newspaper there by inviting the wrath of the Post. Even the political parties in love with them will regret if ever they come to power. They will be dictated to by the Post management. The publicity being given to them is with strong strings from which they will either find difficult to untangle themselves or will be vilified by the Post.